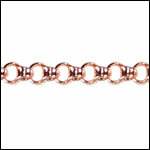 Our rose gold chain has a hypoallergenic brass base with a rose gold alloy plating. 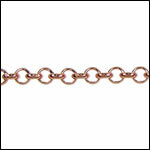 The gold alloy includes copper to create a warm pink color that is especially popular in today's dainty minimalist jewelry. 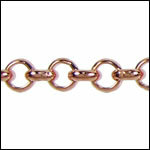 We offer rose gold plated chain in a few of our most popular styles, but we can special order any of our chain styles in rose gold if you are interested! Just contact us to get the ball rolling. 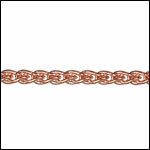 Of course we also carry lobster clasps and jump rings to match the pink gold chain!